In a major setback to King Fisher Airlines (KAL), the Supreme Court has set aside the Delhi High Court Order affirming release of its detained aircrafts due to non payment of parking, landing and housing charges to appellant Delhi International Airport limited (DAIL). The charges amount to the tune of over 22 crores in total. The 2 judge bench comprising of Justice V Gopala Gowda and Justice R. Banumathi however granted liberty to the appellant to invoke the bank guarantee and recover the arrears of landing, parking and housing fees charges. The Court also confirmed that minutes of meeting cannot override statutory regulations if they do not have due sanctity of authorisation. The writ petition before Delhi High Court was filed by Respondent No. 1 challenging the vires of Regulation 10 of the Airport Authority of India (Management of Airports) Regulations, 2003. during pendency of this writ petition, a meeting was held regarding release of aircrafts of KAL by airport operators. In view of the decisions taken on this meeting, the High Court ordered release of the detained aircrafts. The main contention of the appellants before the Supreme Court was that minutes of the meeting were in nature of an executive decision which cannot override Regulation 10 empowering such detainment. The bench speaking through Justice Banumathi dealt with Sec 22(i)(a) and 42(2)(o) of the Airport Authorities Act to conclude that along with Regulation 10, they make a complete code with regard to the right of the airport operator to levy and ensure collection of dues including right to detain the aircraft till fees or charges are paid. It was observed that the High court did not deal with statutory aspects but only the minutes of the meeting. The bench then moved on to deal with Article 77 and 166 of the Constitution of India. The 2 articles provide that all executive actions of the Government of India and of a state are required to be taken in the name of the President or the Governor as the case may be. Such power cannot be delegated. 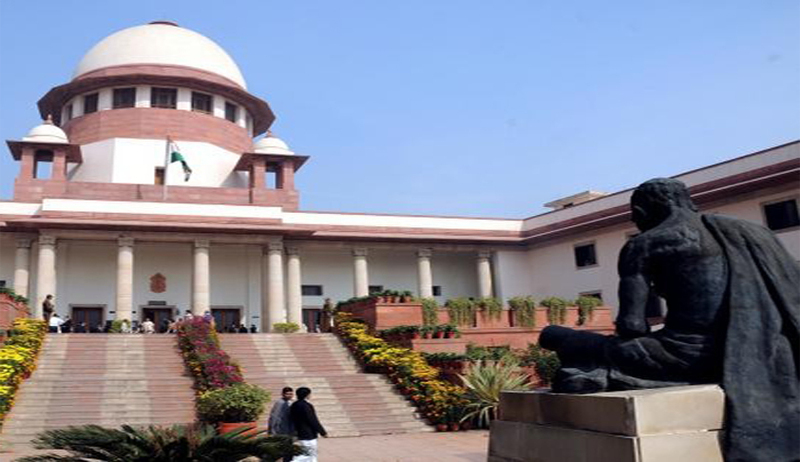 The bench also considered Rule 3 and 4 of Government of India (Transaction of business) Rules, 1961 to reach a conclusion that the decision taken in the meeting could not have been taken without sanction of the minister in charge. Infact the decision could only be taken by the concerned committee of the cabinet with inevitable concurrence of the Finance Department also. In absence of proper mandatory santification, mere minutes of a meeting would not give any indefeasible right tot he appellant. By virtue of Art 77, the minutes of the meeting do not become a general or special order in writing by Central Government which is a prima facie requirement for invoking the code of regulation 10 and Sec 22(i)(a) and 42(2)(o). Unless the minutes resulted in a final decision by a competent authority the same was not capable of being enforced by issuing a direction in a writ petition.